The gift horse is here. The Epic Games Store launched last week, meaning now we’ve reached the point where Epic hopes to lure you away from Steam. And one of Epic’s primary strategies? Borrowing from EA’s long-running “On the House” program, Epic is giving away free games every two weeks for the next year, or 26 free games total. After all, it’s harder to complain that your Steam library is so much larger than your Epic library if the latter starts to grow through no real effort on your part. So yeah, Subnautica’s a game I’d recommend picking up at its full $25 price, and Epic’s going to give you a copy for free instead—at least, as long as you pick it up before December 27. All you have to do is create an Epic Games Store account (or dig up your Fortnite/Unreal Engine credentials) and then head to Subnautica’s store page. Click the orange Free button, place the order, and you’re done. From there it’s accessible in the Epic Games launcher. On its own it’s probably not enough to get you to start actively using the Epic Games launcher, but I’ll be curious to see how this program evolves over the next year and how many more Subnautica-quality giveaways we see—you know, games that are new(ish) and expensive(ish) normally. Super Meat Boy is the next game up, which isn’t quite as attractive a deal. It’s been kicking around since 2010 and was involved in at least one Humble Bundle. But Subnautica is less than a year old, which means there’s a sizeable audience that’s never played it and might want to take advantage of Epic’s generosity. Regardless, it’s clear Epic’s serious about making a play here, and you get to reap the rewards. I suggest you do so. 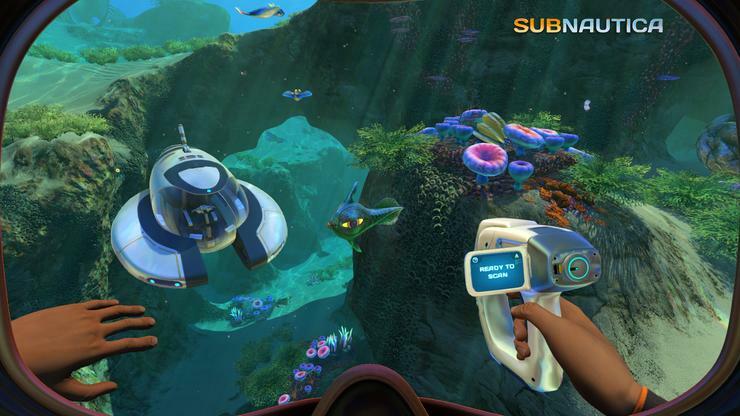 I really can’t stress enough how much I loved Subnautica.